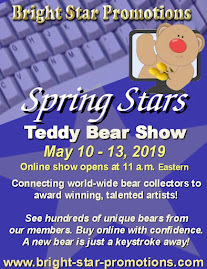 It has been quite a while since I had any bears available for adoption outside of a show, but I'm happy to report that I managed to get three little characters finished just in time for Easter. I had some fun with these little ones and I hope you like them too! All three are available right now over on my Bear Pile page if you would like to take a look. Thanks for stopping by! I love it when you comment! Swap Mouse from Wayneston Bears Has Arrived!